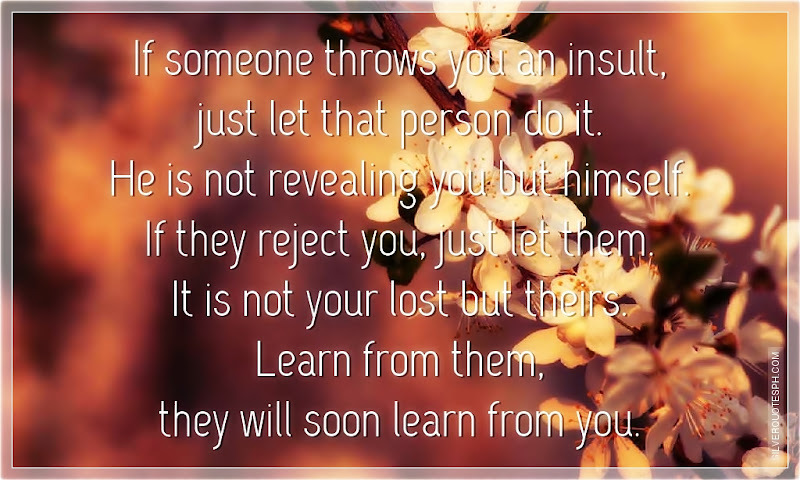 If someone throws you an insult, just let that person do it. He is not revealing you but himself. If they reject you, just let them. It is not your lost but theirs. Learn from them, they will soon learn from you.